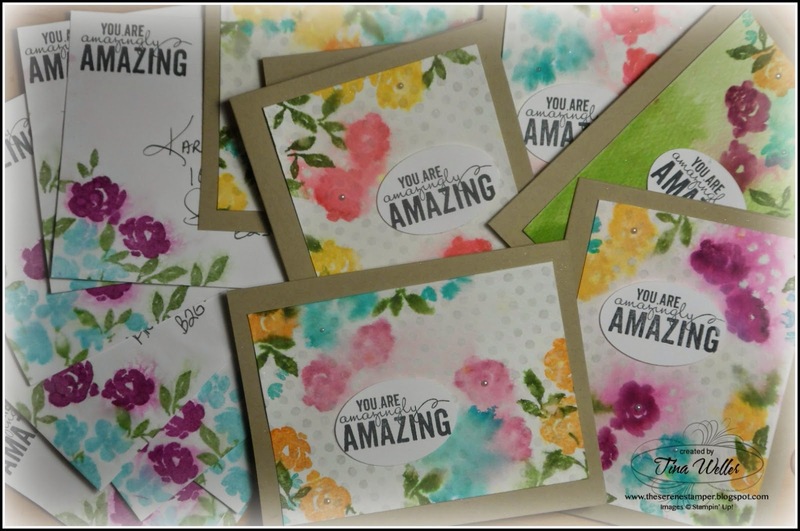 I used (retired) Watercolour Note-cards that I cut up (as I am currently out of regular watercolour card stock) and used the Painted Petals stamp set. 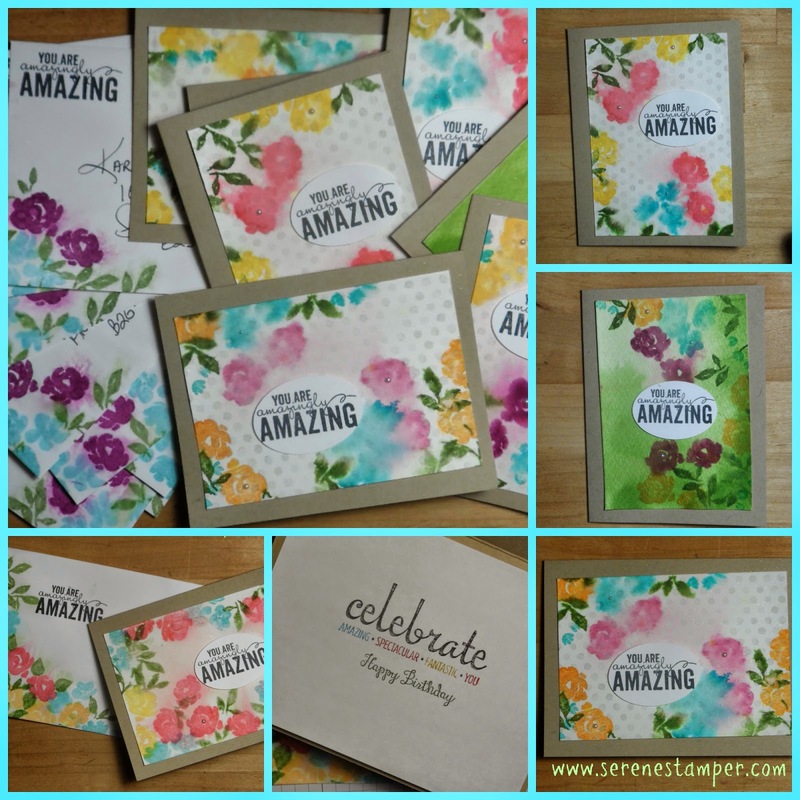 I first misted the card stock with with water and once I inked my stamps I misted them too. Then I stamped on the card stock and let the inks bleed. Definitely a very forgiving technique as you want the images to be blurred. 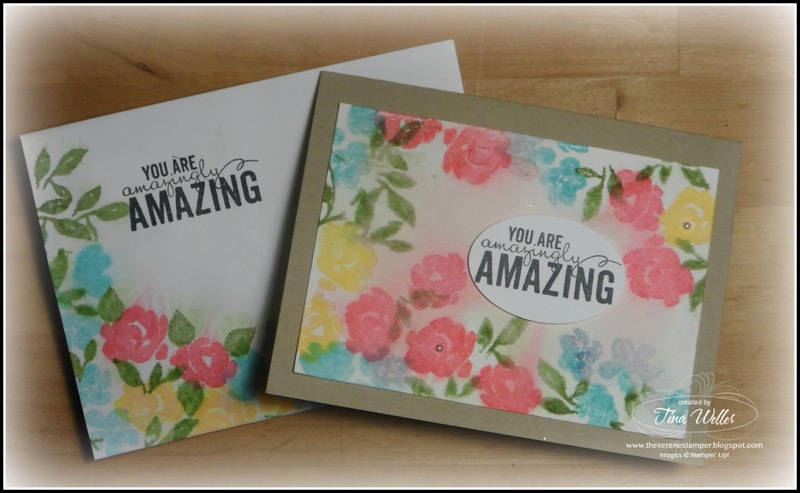 Once dry I adhered to a Crumb Cake card base and added the sentiment and a few pearls for fun. I also stamped the envelopes to match. I'm amazed I had internet long enough to get this post done! On that note, I'm off.